The PLSA distributes announcements about events, requirements, and other information via the pre-law email listserv. They can also be found on Twitter (@UofA_PLSA), Facebook (University of Alabama Pre-Law Student Association), and Instagram (Bama.PLSA). Enjoy performance and competition? Consider joining the University of Alabama’s Mock Trial Team! 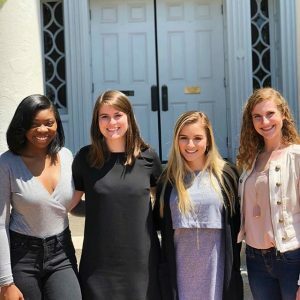 The Mock Trial Team participates in simulated trials created by the American Mock Trial Association (AMTA), the association responsible for governing undergraduate mock trial programs. 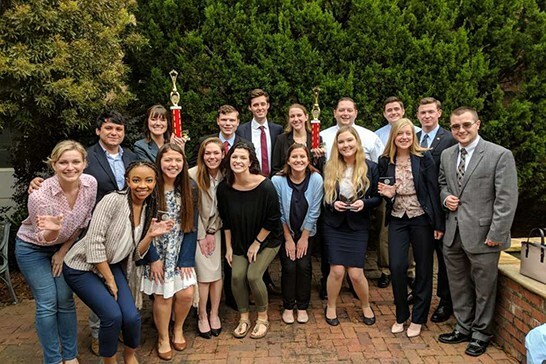 These competitions offer students an opportunity to learn about the American legal system while honing their public speaking, critical thinking, and problem-solving skills — all critical to success in law school. Model United Nations at the University of Alabama is conducted through the Alabama International Relations Club (AIRC). 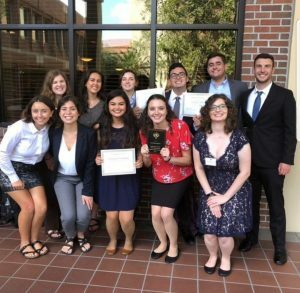 Three times a semester, the AIRC sends a delegation of students to compete at model UN conferences, all over (and outside) the United States. At these conferences students take on the role of delegates representing countries and organizations in a variety of different committees. This year, UA students have competed at model UN conferences in Chicago, Montreal, and Washington DC, to name only a few locations. UA has also achieved success in model UN over the past several years, with individuals winning awards at all of this year’s conferences, and the delegation as a whole winning an award at Florida State University’s conference. As those students can attest, model UN is a great way to build persuasive writing, public speaking, and advocacy skills.